www.circat.cat is an initiative from the Circus Professionals Association of Catalonia (APCC) with the support of the Cultural Department of the Catalan government (Generalitat de Catalunya) and the Ramon Llull Institute (IRL). It’s aim is to be an useful tool where resources for the internationalization of the Catalan circus arts can be found. In addition the website want to make known productions in development and increase sinergies with other creators from the rest of the world... In essence, it is a tool for the information and international visibility of Catalan circus creators. The show directory is open to all companies having a show or are in the work-in-progress of a new one. If your company is creating a new show, we want to offer you the opportunity to find artists, coproducers and collaborators or , as well, just to promote your new project. 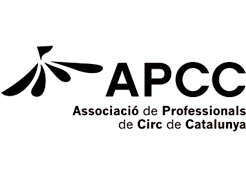 In case you want to be part of this directory and you aren´t an APCC member, get in contact with the APCC to receive more information about the conditions. 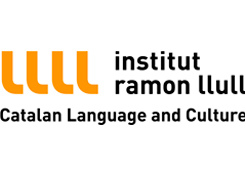 This action is part of the II Integral Circus Plan, a strategic agreement for circus culture led by the Cultural Department of Catalonia with the collaboration of the Circus Professionals Association of Catalonia (APCC), the Educational Department of the Catalan government (Generalitat de Catalunya), the Ramon Llull Institute, the Cultural Institute of the Barcelona City Council (ICUB) and the National Council for Culture and Arts (CoNCA) The APCC thanks everyone who have helped making this possible.